Welcome home to WAESCHE as they returned Monday and safe sailing to MUNRO as they just departed! Much of the Bay Area chapter leadership will be transferring this summer –including me. We will be hosting elections and would like to develop a roster of candidates who would be interested in serving in leadership roles. 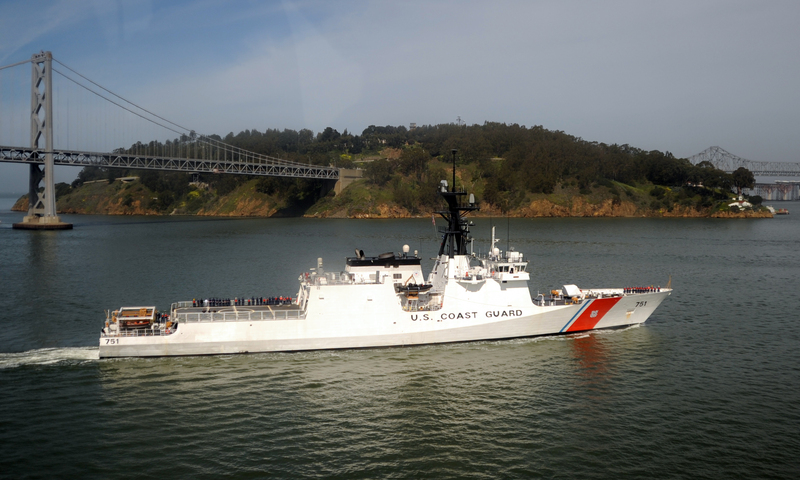 You will find serving as a member of the Bay Area chapter leadership as a good way to network and impact the lives of the Coast Guard community in the Bay Area. We are consistently one of the most active SNA chapters nationwide and a new leadership team will ensure that we continue to advocate and support the community. LCDR Chris Klein will stay on as Vice President to support the transition, but we are seeking members to run for President (preferably an O-5 to O-6), Treasurer, Secretary, and Membership Coordinator. We are very interested in bolstering our candidates with members of the enlisted work force in particular. Please consider running for one of the positions and if you know of someone who would be a good addition to the team, please suggest they join the SNA and run for one of the positions as well. Please direct them to the Surface Navy Association site at http://navysna.org/membership/whyjoin.html. To put your name in the hat for a leadership role in the Bay Area SNA, please just send an email to LCDR Chris Klein no later than 20 April. He will compile an email for members to vote on nominated candidates and compile the results of our e-election.